Sinhala Buddhists are People of Sinhalese Ethnicity who follow the doctrine of Theravada Buddhism Having a unique culture known to the world as the “Sinhala Buddhist Culture”. The Sinhala Buddhist Nationalism is a political ideology which maintains a combined focus on the culture and the ethnicity of the Sinhalese people with the doctrines of Theravada Buddhism at the core, a belief which is shared by the majority of people in Sri Lanka. It`s history run back to the era of King dutugemunu ( 137 BC) and continues to flow with the Sinhalese people. This page is dedicated to discussions, expression of opinions on issues faced by Sinhala Buddhists around the World. We welcome eye openers about problems faced by Buddhists from other nations. 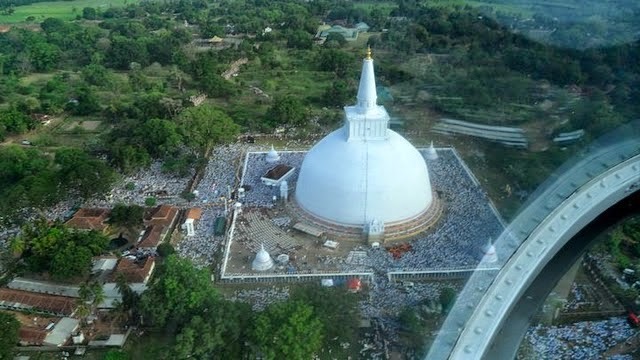 As a community, the Sinhala Buddhists are consistently under pressure due to Fundamentalist activities, Threats from extremist groups, misleading by politicians, conspiracies created by defeated terrorists, and foreign intervention. This page has a huge fan base and is one of the largest groups created by Sri Lankans in the social media. we have successfully used that strength to defend Sinhala Buddhist interests. However, we sadly note that lately some elements are trying to discredit this page with hatred towards Buddhism and Sinhala as an ethnicity. We treat it as our duty to report anti-Sinhala and anti-buddhist activities while encouraging our people to improve on economical and spiritual terms and to face every situation as a united movement. In our view, if such reporting could be seen as terrorism, then on the same argument mass media could be branded as terrorists, since they carry forward hatred and criticism to many things. Our wish as Sinhala Buddhists is to see a brighter future for our nation. Therefore, we respect interfaith harmony and unity among ethnic groups. We will dedicate to the growth of peace In Sri Lanka. As the administration of the Sinhala Buddhist page, we do not tolerate hate speech or other forms of abuses, and because of this we had to ban a large number of commenters to this group. But due to the size of our fan base, and the nature of thousands of comments under our posts, it is practically difficult for us to monitor them all and take necessary action. Therefore, we disclaim all responsibility on any harm done by such comments or posts and like to remind that responsibility is with the administration of the Facebook.